What’s The Problem With Prepared Speeches? Prepared speeches can come in many different forms. They can be an entire speech that someone else has written and which we’ve been handed and are expected to deliver as written. Or they can be just part of a speech, perhaps a long quotation from a book, an introduction of another speaker, or even a section of the Bible. No matter what the reason for including a prepared text in your speech, the end result is the same: you’ll be delivering text that has to be read to your audience. It turns out that this may be one of the hardest speeches to give! It sure seems as though being given a prepared text to be included in your speech would make the speech easier to give, not harder. However, that’s not the case. It’s true that having prepared text does make it easier for you to get your words out – you know exactly what you want to say next. However, at the same time it’s going to become much harder for you to make your speech sound real. You won’t have as many options when it comes to making your speech come alive. You will be struggling to make your audience understand that you really believe what you are telling them. When presented with prepared text you are going to have to put some serious effort into including it in your speech. What you are going to have to do is to make your prepared text sound like you normally talk. So what can happen when we include prepared text in one of our speeches? When we hit the prepared text, all of a sudden we can start to sound flat to our audience. What we need to realize is that when we are giving a speech, we put energy into it and we take the time to emphasize the words that we are saying. By doing this we are able to keep our audience engaged in what we are telling them. Providing this energy is much easier for us to do when we are saying our own words. Your words show how much you care about what you are talking about. It’s all too easy for this energy to slip away when you are reading a text simply because you end up treating all of the words the same way. You lose your vocal variety. How Can We Make A Prepared Speech Sound Better? So why do we read text that has been prepared by another author? Simple – we want to capture the intent of that author. This prepared text was selected for the reason that it was seen as being able to help illustrate a point that your speech was to make. Your challenge going forward is going to be to find a way to make sure that your audience understands that this is what you want to do. In order to do a good job of reading prepared text, the first thing that you are going to want to do is to print out the text. Make sure that you use an easy-to-read font and that you make the text nice and big. You are going to be marking it up and you’ll need the extra room. Next you’ll want to read through the prepared text and underline any words that you think will need extra emphasis. If you want to include a short pause when you are reading the prepared text, place a dash in between the words where you’d like the pause to be placed. Finally, if there are any words that are difficult for you to say, circle them so that you’ll see them coming when you are reading the prepared text and you’ll know to slow down and take your time with them. One of the most important things to understand about any prepared text that you are going to be reading will be how the words flow together. There will undoubtedly be collections of words that are designed to be said together. This can be titles, or descriptions that don’t have any pauses or breaks in them. If you pause while saying them, then you are going to come across as appearing to be stilted or unnatural. What you are going to have to do is to mark these words as being part of a single collection of words. This means that you have to mark the start of a group of words that need to be said together and then you have to mark the end of the group of words. This way if the words split over the end of a line, you won’t slow down when you are saying them. The best kind of speech that we can give as public speakers are the ones where we can pour ourselves into what we are saying in order to show the benefits of public speaking. In these speeches we have the ability to make our words come alive. Where things can start to get tricky is when we either are told to include prepared text or we decided to include prepared text. How are we going to make what someone else said a part of our speech? 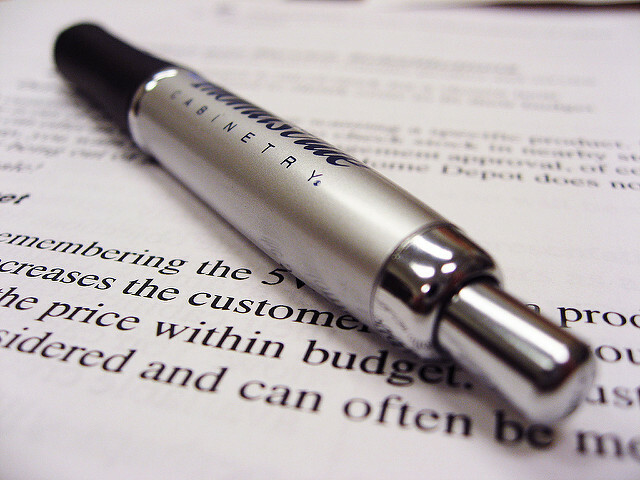 Including prepared text in a speech can make it a difficult speech to give. This should be an easy thing to do, but because we often don’t use our normal talking voice when reading prepared text, it can be quite difficult to do well. When we are giving a speech that we’ve written, we deliver it with a lot of energy. However, when we get to the prepared text part of the speech what happens is that we tend to lose our vocal variety. In order to improve how we deliver prepared text we need to print out the text. We then need to mark it up: identify words we want to empathize, places where we want to insert a pause, and groups of words that need to be said together. Adding prepared text to a speech can serve to make any speech more powerful. However, we need to understand that it is human nature to treat prepared text differently from a speech that we’ve written ourselves. We need to take the time to study the prepared text and make sure that we are going to be able to deliver it in a way that will make it just as interesting as the rest of our speech it. Our speech should become better, not worse, because of the prepared text that we have included in it. Question For You: If you include prepared text in a speech, how much of your speech do you think that it should take up? If you are going to be willing to go to the effort of creating, practicing, and then delivering a speech, you may as well make sure that your audience experiences the importance of public speaking and understands you. What’s it going to take in order to make this happen? For one thing, the speech that you are going to give is going to have to be clear. What does this actually mean? What is means is that you are going to have to engage in some clear thinking in order to do some clear writing which will result in you being able to speak clearly. Now just exactly how can we go about doing that?